The last two weeks I’ve been sewing for DH. 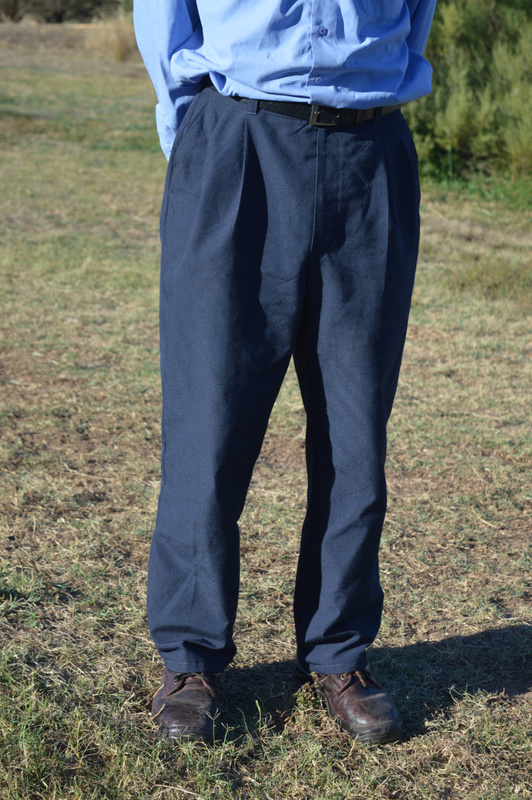 The original request was for a couple of polo shirts to wear will working in the paddocks. Quickly followed by a request for a “long sleeve woven, or two, no make that five. 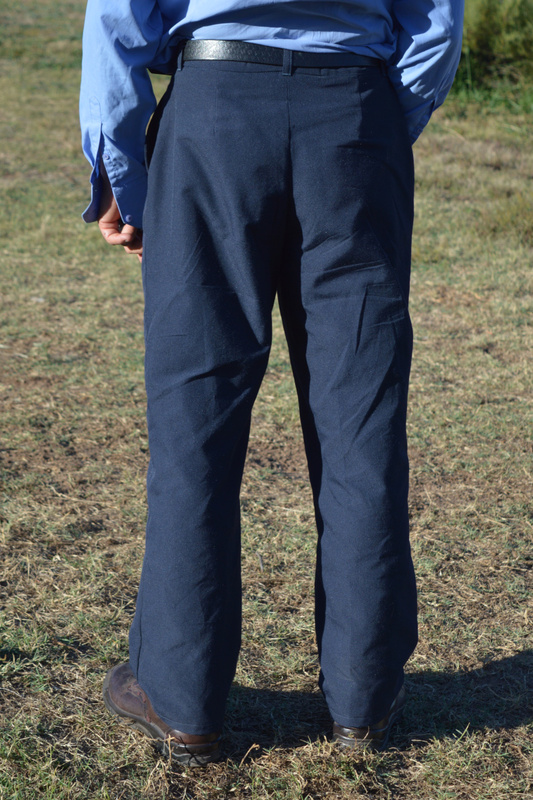 A couple of work pants…. jeans would be good. Oh yeah, remember that spay skirt for the kayak you promised?” And yesterday shorts were added to the list. It is a rare occasion that he asks me to make something ( and then it is usually something complex and without a pattern) so I was quite (pleasantly) surprised by the growing list. 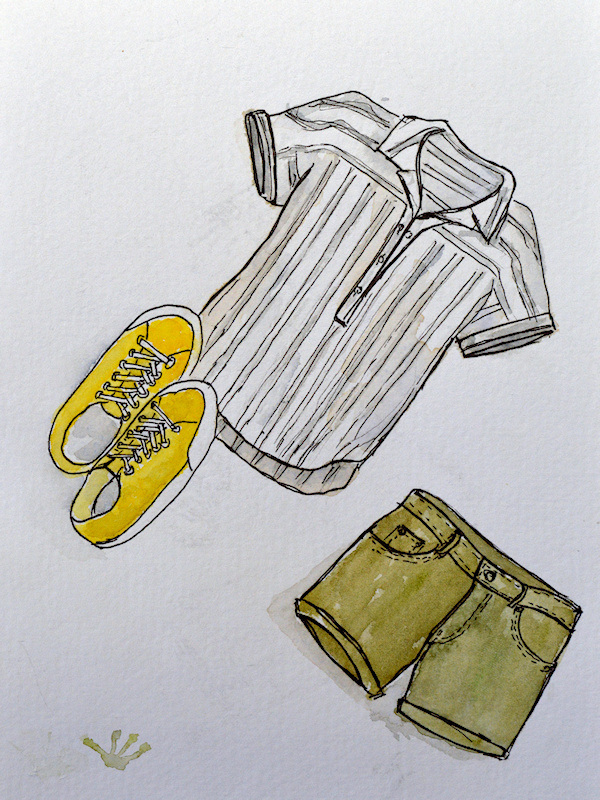 As a bonus, he found fabrics in the stash that he liked and selected his patterns. Anyway, these two polos are made from cotton jersey. They are for working around the yard so they are in for a tough life. The pattern for these is from La Mia Boutique (#526 May 2011) which I’ve made quite a few times before. (Latest review on PR for a plaid shirt). 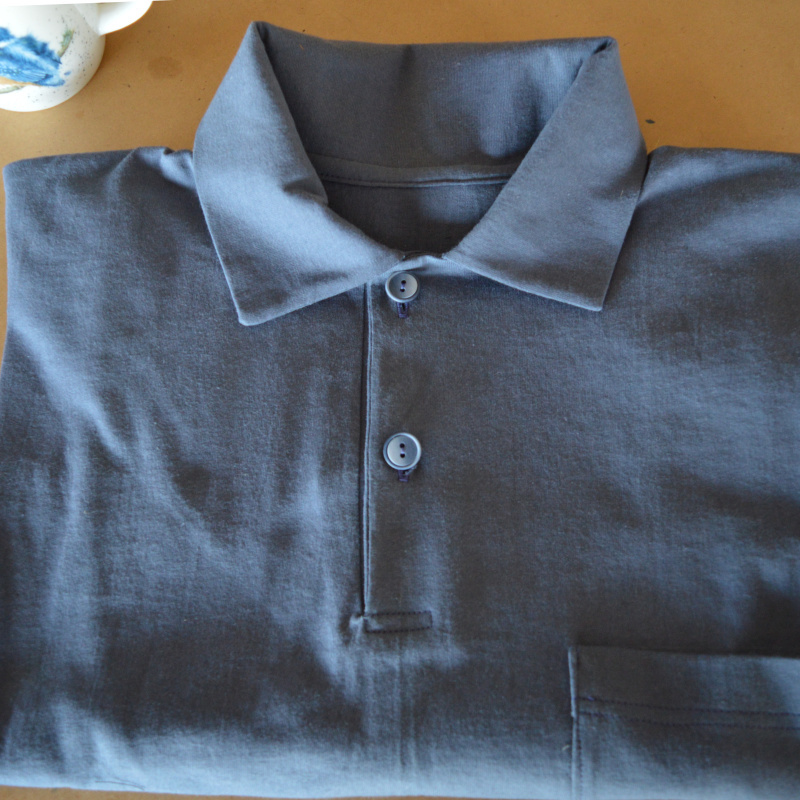 It is a classic shirt with all the fiddly bits like collar stands and sleeve plackets. 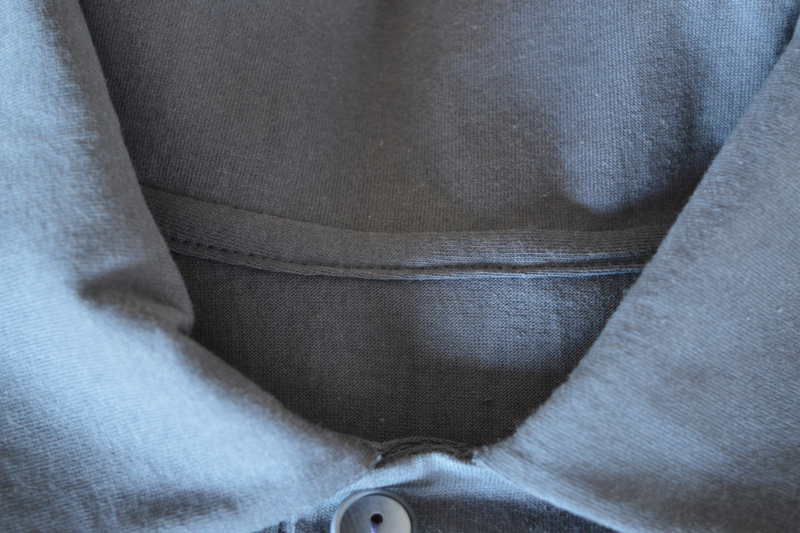 The shape of the collar is really nice. 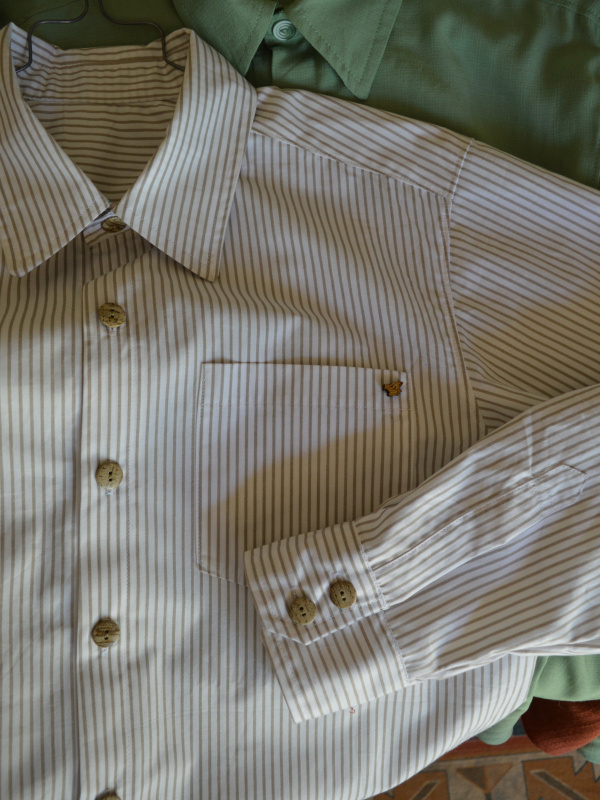 The white/brown stripe is a tight weave cotton. The perfectionist in me matched the stripes at the shoulders and the placket. Did such a good job that he says he’ll keep this for a ‘good’ shirt rather than use it out in the paddocks. Yay! The green is a bamboo shirting. Nice and drapey but very heavy. There is a subtle stripe to the fabric which I’ve matched. 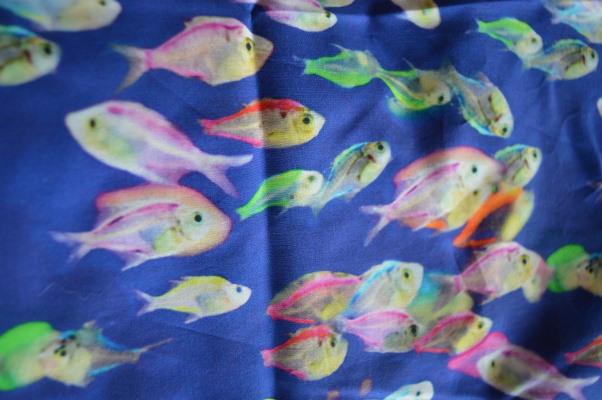 It was a little more tricky to work with than the cotton, but it looks good and is destined for a hiking shirt. 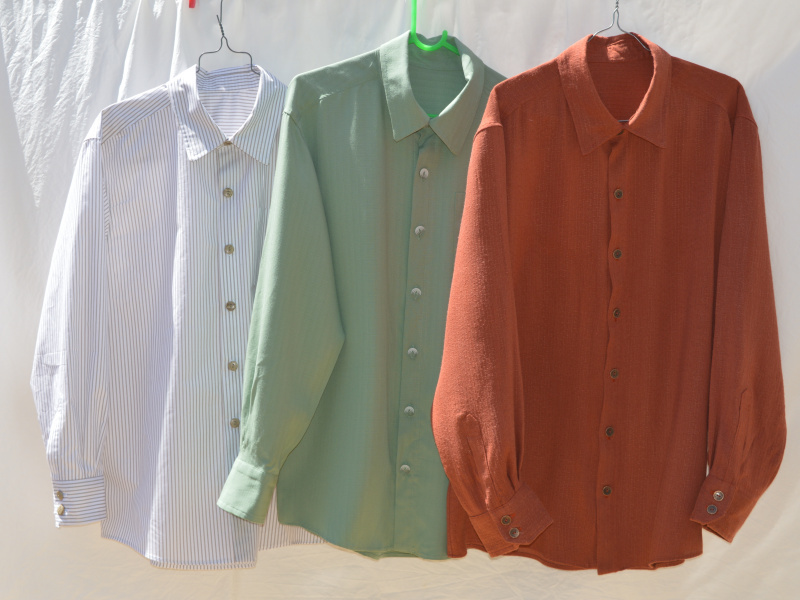 The rust is a rayon shirting. A nightmare of a fabric to sew. To make things worse, it hadn’t been cut square on either end and I was only just able to fit the pattern onto it, san pockets. I made this shirt twice last year after watching David Page Coffin’s Shirtmaking class on Craftsy. I’ve had the book for a while but didn’t really take to it. The class was really good, especially for his techniques on attaching the collar stand using the burrito method. It takes a bit of practice, but the results are well worth it and I’ve become a convert to using a sewn in interfacing. His lesson on cuff plackets walks through how the placket piece is designed. Suddenly it all made sense and I don’t need to refer back to notes to work out which way the sleeve and placket are positioned before stitching the box. 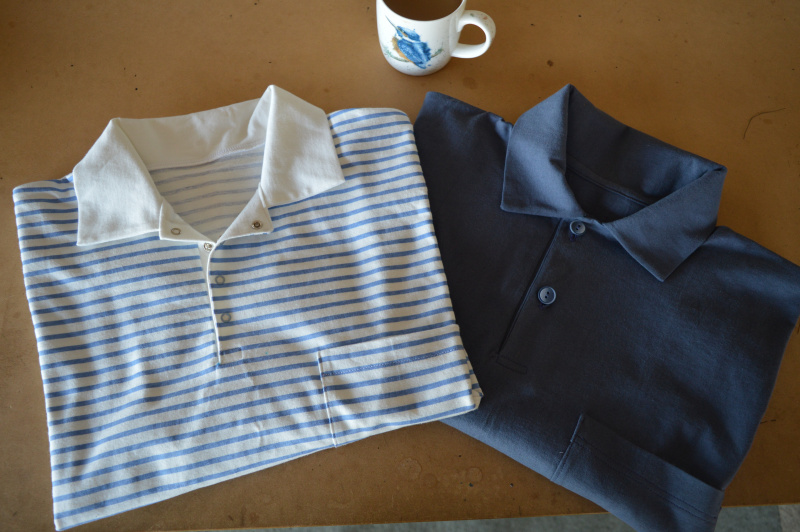 Check out the plackets in the photo below – matching the stripes, and a perfect placket on that slippery, shifty rayon. Amazing! There are two more to do but I need a break from collars and cuffs. 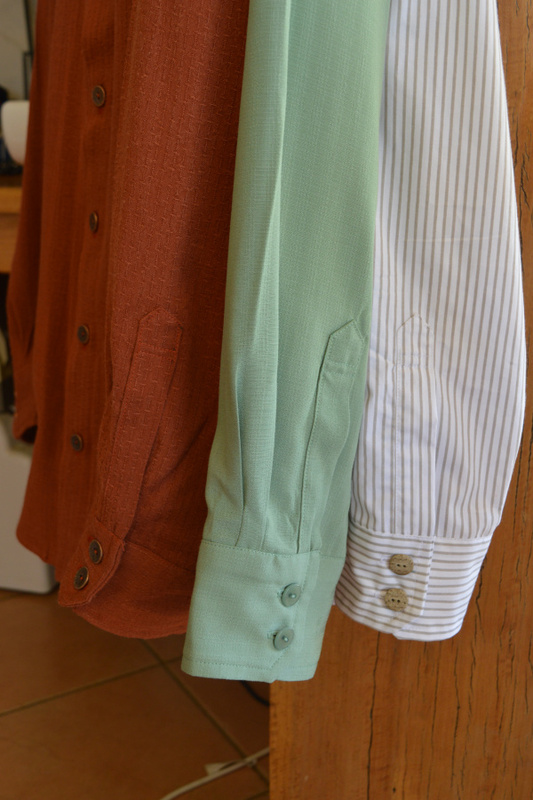 Plus, the light blue one needs some pattern mods for a specced up hiking shirt. The pattern for these is Kwik Sew 2860 ( waistcoat and pleated trousers), released 1999 and now out of print. 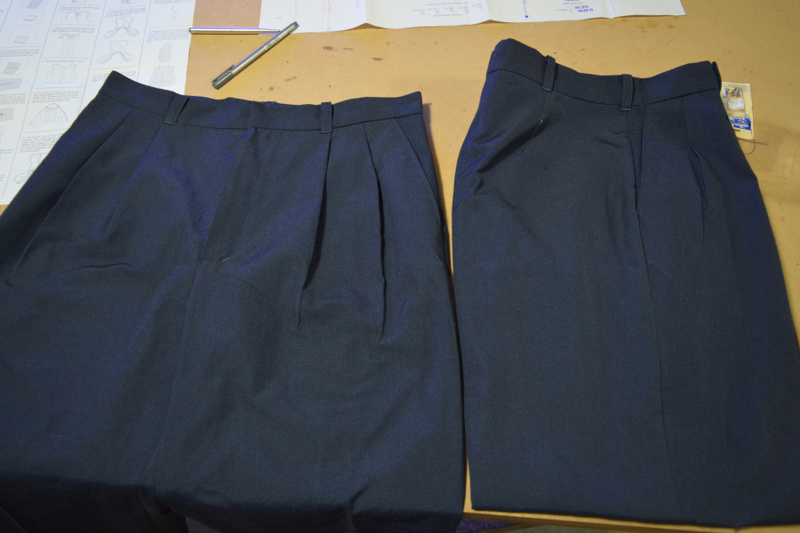 This is his preferred pant pattern as he likes the pleats in the front, rather than flat fronts. This style must not be very trendy at the moment as BMV doesn’t have an equivalent pattern at the moment. Burda has something similar so maybe they will make a come-back. 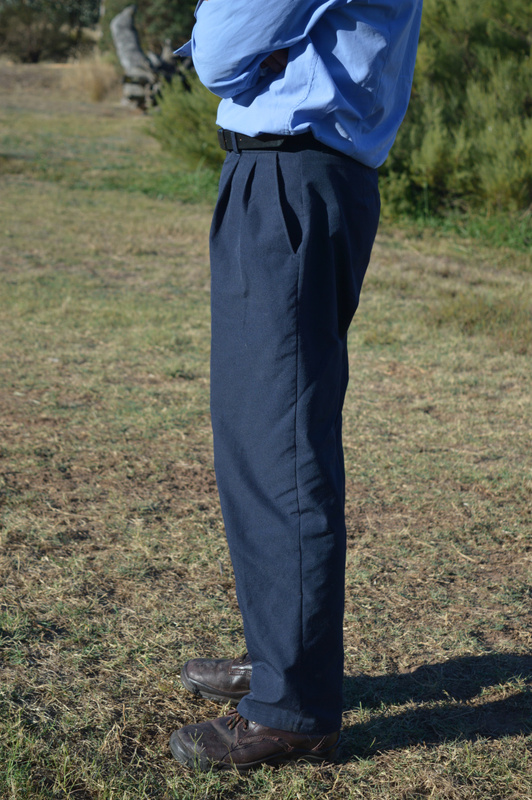 He carries his keys and wallet in his front pocket, rather than back pocket, so he likes the extra room with the pleats. These photos were taken very quickly after he came home from work and wasn’t really in the mood for a photo shoot. Great pieces for your DH and they all looks very professional. Wowza. Came over here from Pattern Review to check out what you’ve been up to, and it’s a lot! Your husband is a lucky guy to have someone who can produce so many items in so little time – and is willing to do it! My husband is lucky if he gets one item a year. Haha! I feel your pain with the rayon. I made a rayon shirt over christmas and it was a bear to sew! I still don’t want to look at it yet…. Thanks. I was wondering where he got his shirts. They are so much fun! Wow! 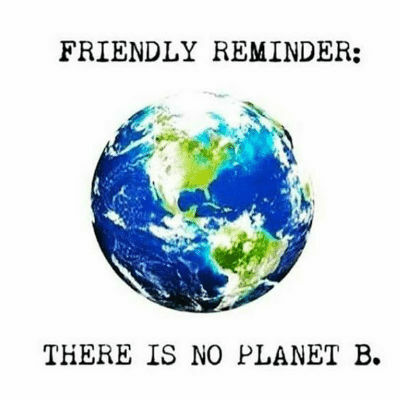 All those in two weeks? And I am very impressed by your shirts. They look amazing. 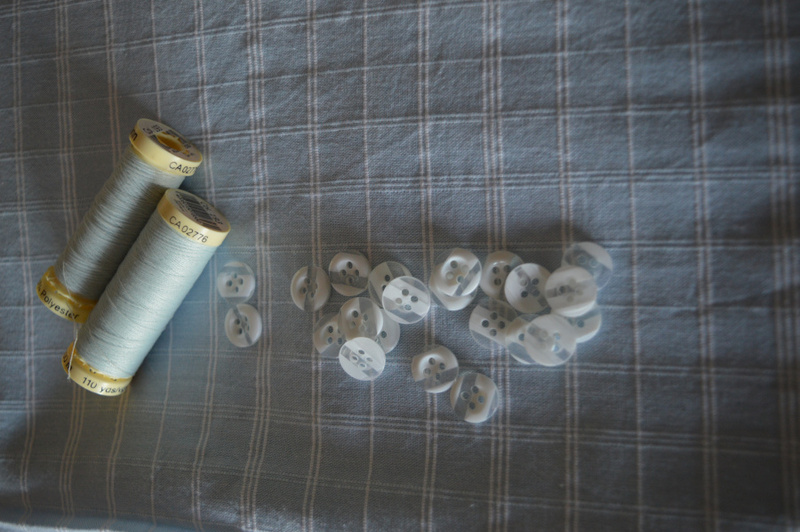 Gosh, that it a lot a sewing…that would have taken me a whole year. Lucky DH!